This beautiful 3 bedroom, 3 bath ocean view villa is located in building 2 on the fourth floor at the popular SeaCrest Resort. This lovely villa is decorated in blues, yellows, greens, and grays which give a bright and airy beach house feel. Take in the ocean breeze on one of your two private balconies or entertain inside. The fully equipped kitchen with granite countertops, beautiful backsplash and stainless steel appliances opens to the dining area and seats six along with 4 barstools at the breakfast bar. This villa is great for a family trip or a friends getaway, the location and decor are ideal for everyone. 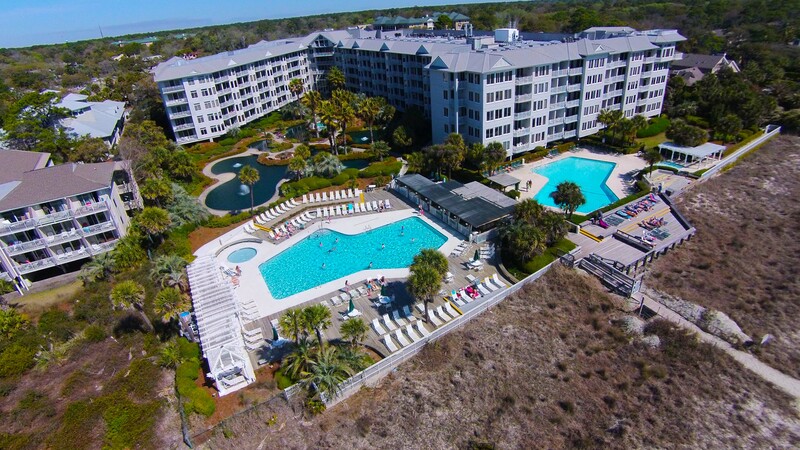 The Sea Crest has an excellent amenity package that includes two outdoor, oceanfront pools, large hot tub, fitness center with therapy pool, seasonal poolside restaurant and beach bar, beautiful landscape and covered garage parking. Ideally located across from Coligny Plaza with over 60 shoppes, restaurants, movie theater, seasonal entertainment and childrens activities!